Chen Jia-Wei, age fourteen, is currently a trumpet student at the middle school of the Central Conservatory of Music in Beijing. He studies with Mr. Dai Zhonghui, a distinguished trumpet professor and former principal trumpet of the National Symphony Orchestra of China. Chen Jia-Wei is an active, smart, and most talented student at the music institute. He grew up in a musical family and found a love for music at a young age. He started playing piano when he was four and trumpet at age ten. He became first trumpet in the school orchestra when he was in fourth grade. In 2011, he won the prize for the Beijing Art Festival, elementary school district. In 2013 and 2014, he was selected as the winner for the HaiDian district solo competitions and was also awarded the Young Artist Award by the Beijing City Education Center. In July of 2013, he was chosen to perform a solo at the Concert Hall of the National Performing Arts Center. Chen Jia-Wei has been soloist with Jia Ping Philharmonic Wind Ensemble, Ba Yi Middle School Wind Orchestra, and the Symphonic Wind Orchestra of the Central Conservatory of Music. He won first prize in 2014 for the International Trumpet Guild Youth Solo Competition (under-14 division) at the ITG conference in Columbus, Ohio. As the June 2016 Young Artist Award recipient, he will receive a one-year complimentary membership to ITG. Congratulations, Chen Jia-Wei! In 2007, at age six, Forrest Johnston played his first notes on the trumpet and shortly thereafter played his rendition of Ode to Joy in an elementary school talent show contest. With the strong encouragement of family, friends, and his elementary school principal, Forrest followed that successful performance with years of dedicated practice and study. In 2009, Forrest began a measure-by-measure preparation of the first movement of the Hummel Concerto in anticipation of the 2010 National Trumpet Competition. He finished as a semi-finalist, but more importantly, he received great encouragement and warm support from a range of aspiring and professional trumpet players who attended his performance. In the later grades of elementary school, Forrest's trumpet studies advanced from the etudes of Sigmund Hering to those of Theo Charlier and Walter Smith, and, after much pleading with his father, from playing the B-flat trumpet exclusively to playing the piccolo and other higher-pitched trumpets. In 2011, he performed the Arutunian Concerto for NTC (finishing third), and in 2012 and 2013, he won first place playing the Bellini Concerto (on piccolo) and the Böhme Concerto. During his elementary school years, Forrest regularly participated in his school music program, but rather than playing trumpet (except in the annual talent shows), he played string bass and horn. He did, however, play trumpet with his father in a community adult wind ensemble. s to young students through the annual ITG Youth Competition. In 2011, 2012, and 2013, Forrest performed Ketting's Intrada, the Neruda , and Höhne’s Slavonic Fantasy, respectively, in the conference competitions. 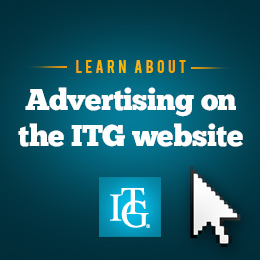 More significant than the accolades that Forrest has accumulated through these competitions has been the continuous flow of encouragement and praise that he has received from the wide range of players who attend the ITG conference each year. A particular highlight for Forrest was his experience working with David and Miriam Hickman in a masterclass at the 2013 conference in Grand Rapids, Michigan. Beginning in seventh grade, Forrest began his participation in the National Symphony Orchestra's Youth Fellowship Program. In this program, he has played in various chamber ensembles, been coached by members of the NSO, and received the opportunity to perform in solo and ensemble contexts on the Kennedy Center's Millennium Stage. He has also performed in the American Youth Philharmonic Orchestra program since 2014, where he has played in both the large orchestras and the chamber music program. In 2015, as an eighth grade student, Forrest returned to the National Trumpet Competition, where he finished in first place with a performance of the first movement of the Peskin Trumpet Concerto. As a freshman at Langley High School in Great Falls, Virginia, Forrest currently plays in the school music program and is an avid participant on his school's cross country team. Forrest is honored to have been nominated for the Young Artist Award and very much appreciates everything the Guild has done for him over the years. As the March 2016 Young Artist Award recipient, he will receive a one-year complimentary membership to ITG. Congratulations, Forrest! Coleman Scott is a 2015 graduate of Franklin County High School in Frankfort, Kentucky, where he played principal trumpet in the symphonic band, solo and lead trumpet in the jazz ensemble, and principal trumpet in the pit orchestra. He was section leader in the marching band and president of the band council and accompanied his school's choirs as well. He was awarded the Outstanding Sophomore Award for outstanding musicianship and dedication, the Quincy Jones Award for contribution and creativity in multiple musical areas, and the Woody Herman and Louis Armstrong awards for excellence in jazz. Before coming to FCHS, Coleman studied trumpet independently, as his middle school did not have a music program. His freshman year at Franklin County was his first year playing in a musical ensemble. He founded and directed the FCHS Trumpet Choir and served as a student teacher for the sixth-grade brass class at Elkhorn Middle School during his senior year. Coleman is the founder, director, and principal trumpet of the Frankfort Brass Quintet. This group performs for community events in churches and nursing homes and at weddings and other community festivals (including the 2014 and 2015 Great American Brass Band Festival), and they were recognized by Governor Steve Beshear for their ongoing community service. Frankfort Brass is a three-time winner of the University of Kentucky Brassfest High School Brass Quintet Competition. Coleman is also the founder of the Frankfort Jazztet, a group that performs for similar engagements. Also in his community, Coleman has performed in the Capital City Community Band, a group that has performed at the Midwest Band Clinic in Chicago. Coleman is a recognized community soloist in many venues and has accompanied the Capital City Chorale. He also performed in the Central Kentucky Youth Jazz Orchestra and the Central Kentucky Youth Symphony Orchestra. He played with the Jazz All-Stars of Central Kentucky for three years as both solo and lead trumpet, where he performed with world-renowned artists Roger Ingram, Jeff Coffin, and Wycliffe Gordon. In 2014, Coleman attended the prestigious Interlochen Arts Camp, where he studied classical and jazz trumpet; performed in various ensembles; and was named the Ella Fitzgerald Foundation Merit Scholar. He has also twice participated in Jamey Aebersold's Summer Jazz Programs. Coleman now attends the University of Kentucky, where he is pursuing a degree in music education and studies trumpet with Dr. Jason Dovel. He plans to teach trumpet/music at the collegiate level in the future. Coleman would like to thank all of his teachers and mentors who have guided him. As the January 2016 Young Artist Award recipient, he will receive a one-year complimentary membership to ITG. Congratulations, Coleman! Robby Garrison's passion for music began in the third grade, when he performed the opening song for the elementary school spring choir program on his guitar. In middle school, under the instruction of Kim Bain, Robby developed a love for the trumpet and for jazz music. He played in the Pizitz Middle School Jazz Band in seventh and eighth grade, as well as the Concert and Symphonic Bands. Vestavia Hills Rebel Marching Band, where he was the featured soloist for the halftime show in his junior year. He played in the Symphonic Band his freshman year, where he was principal trumpet, and in the Wind Ensemble (top ensemble) for his sophomore, junior, and senior years, where he was also principal trumpet. He played in his high school's jazz band all four years and was recognized as Most Outstanding Brass Player in both junior and senior years for Jazz Band A. Robby was also awarded Most Outstanding Brass Player in his senior year for the Wind Ensemble. In addition to playing in the school bands, Robby also performed as part of the orchestra pit in theater performances and for several school and community functions. During all four years of high school, Robby played under the direction of Mr. Jerell Horton and Mrs. Heather Palmer, who inspired and encouraged him to pursue his dream of studying music in college. Robby's passion for music is matched by his passion to serve and be involved in his local community. He was a member of the Alabama Youth Symphony Orchestra and the Samford University Orchestra during his senior year in high school. He also played with the Alabama Jazz Hall of Fame Student All-Star Band for five years under the direction of Ray Reach, performing at community festivals and local nursing homes. During his sophomore year, he taught at Scrollworks Metropolitan Orchestra, an organization that provides music lessons and an orchestra setting for children who cannot afford or do not have access to such programs at their schools. In his junior and senior years of high school, Robby studied with former ITG President and University of North Texas professor Dr. Leonard Candelaria, from whom he learned many of the skills that have helped him. In March 2015, Robby was selected to play in the Music for All National Honor Band of America, where he was placed as second chair. He was selected for the Alabama All-State Honor Band (Red Band) and All-State Jazz Band (Gold Band) and was principal trumpet in both. Robby was also principal trumpet in the University of Alabama Festival Honor Band. Robby has participated in numerous music symposiums and workshops. He attended the Music for All Summer Symposium where he participated in Leadership Weekend and was principal trumpet in the top band. He also participated in the University of Alabama at Birmingham's Brass Symposium, where he had the honor of playing for Chris Martin, the principal trumpet of the Chicago Symphony Orchestra. Robby is pursuing music education and jazz studies degrees as a freshman this fall at The University of North Texas, where he studies with Dr. Jason Bergman. He is very grateful for the honor of being selected for this Young Artist Award. As the October 2015 Young Artist Award recipient, he will receive a one-year complimentary membership to ITG. Congratulations, Robby!